Folding music stand light with rechargeable battery. 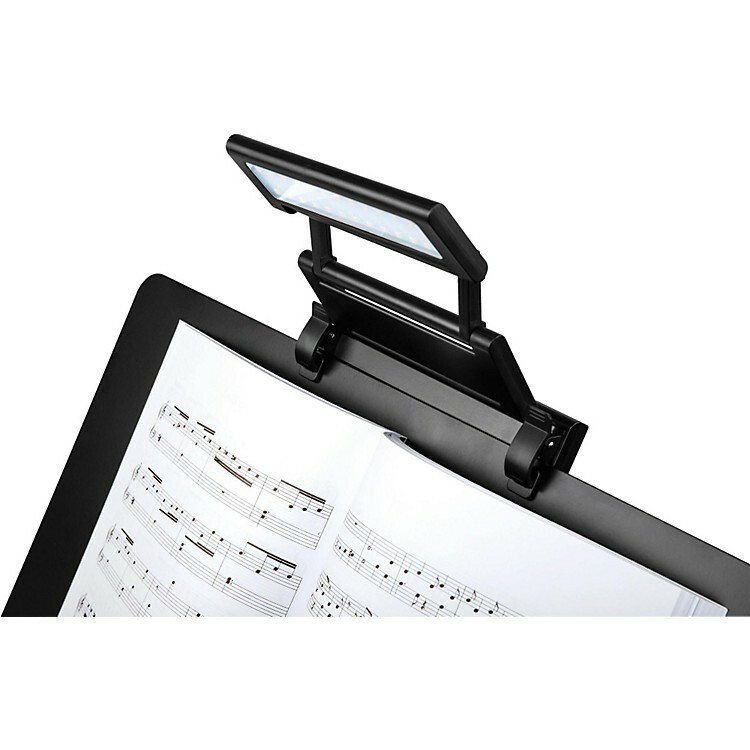 The Proline PL24 LED music stand light is state of the art, providing 24 LEDs to cover all of your music sheets. With its dynamic 3-way intensity lighting switch, you can focus for whatever lighting situation you may encounter. The rechargeable lithium battery allows you the freedom of use without worrying about where you will plug in. And after you are done, you can comfortably fold it up and store it for the next gig. Unlike the professional incandescent lights, you don't need to let it cool down before you can put them away.